Most American states contemplate the usefulness of passing bills regulating online gambling, with Delaware, New Jersey and Nevada being the pioneers. 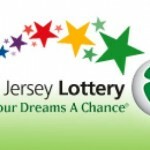 A more recent concern is whether it would be beneficial if state lotteries could sell their tickets over the Internet, with several ones joining the movement. Ohio Lottery is yet to do this step and unless a provision existing in the state budget bill is waived, it would miss out on this rare opportunity of boosting revenue. Ohio lottery officials are worried by the fact that the House recently passed a bill that prohibits the state from joining the cluster of lotteries allowing players to purchase tickets online. 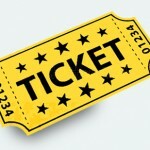 Using computers and other gadgets with Internet connection for shopping is the most convenient way of buying the tickets and it is expected that the number of players would increase overnight. Younger customers above all else are appreciating the convenience of placing an order online instead of driving to convenience stores. 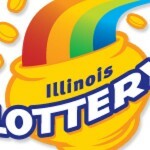 While state officials acknowledge the importance of making it more accessible for players to shop for lottery tickets, this very convenience worries them. 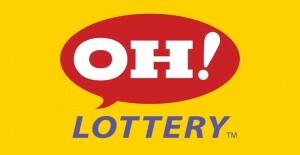 They claim that if tickets could be bought over the Internet, minors will have no problem in playing the Ohio Lottery, which is in stark contradiction with existing regulations. Among those who issued their concerns are lottery vendors, but their motives are quite different as they are worried about the prospect of losing customers. It goes without saying that if players can buy tickets for the Ohio Lottery online, they would have fewer reasons to shop locally. Both sides are vocal and they have pertinent arguments, with detractors claiming that the bill will have a minimal impact in supporting the traditional retailers. With the Ohio lottery selling tickets worth almost $3 billion last year, the 9400 retailers didn’t make more than $15,000 on average. Closing an avenue of buying tickets for the sake of such puny numbers makes no sense, because the lottery profits could increase dramatically if people were allowed to buy tickets over the Internet. The other side has strong arguments as well, citing the fact that those who enter a convenience store to buy lottery tickets rarely leaves the shop without acquiring something else. By decreasing the role played by these retailers in selling lottery tickets lawmakers would also hurt their businesses in other ways. Ohio lottery officials are disappointed by the prospect of missing out on Internet ticket sales, and give other states such as Illinois as examples. Nevertheless, the most important thing for state lotteries is to keep the game fresh and attractive, with the manner in which the tickets are sold coming second. 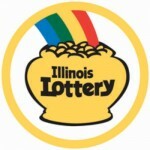 Check out the Illinois Lottery makes single mother a millionaire as well.